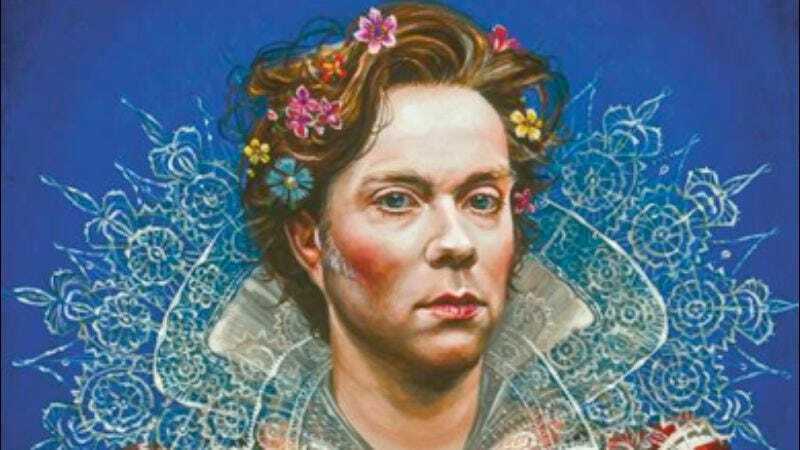 The 400th anniversary of William Shakespeare’s death is coming up this year—as is the 390th anniversary of Sir Francis Bacon’s, if you’re into classist conspiracy theories—and Rufus Wainwright is planning to mark the occasion by releasing an album based on Shakespearean sonnets. Appropriately titled Take All My Loves: Nine Shakespeare Sonnets (it’s a Shakespeare reference), the album will feature appearances from various singers and actors, including Florence Welch, Martha Wainwright, Anna Prohaska, Siân Phillips, Helena Bonham Carter, William Shatner, and Carrie Fisher (the last two, presumably, there to honor Shakespeare’s many poems about space adventures). Take All My Loves was inspired by a project Wainwright worked on in 2009 in which he was asked to compose music for some of Shakespeare’s sonnets, and alternate versions of three of the tracks appear on his album Songs For Lulu. The album will be available on April 22, which happens to be the day before the actual anniversary of Shakespeare’s death.